Speed up your savings with this vinyl coin bank based on Sonic the Hedgehog! 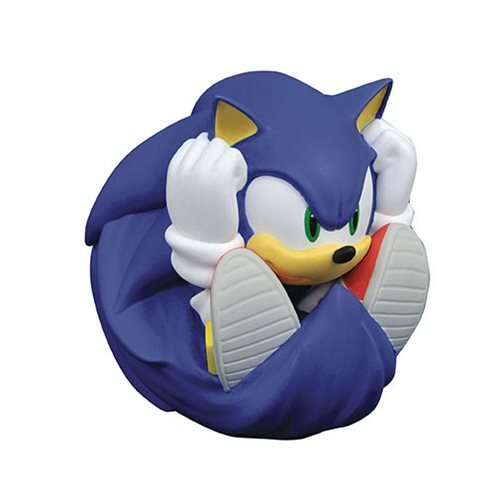 Depicting the video game superstar curled into a ball for an extra boost of speed, this sculpture also features a coin slot on top for instant deposits, and an access door in the base for quick coin removal. It comes packaged in a clear polybag.